Random Order Coffeehouse is having it’s third birthday party tomorrow. go to it for mimosas, pie and art. 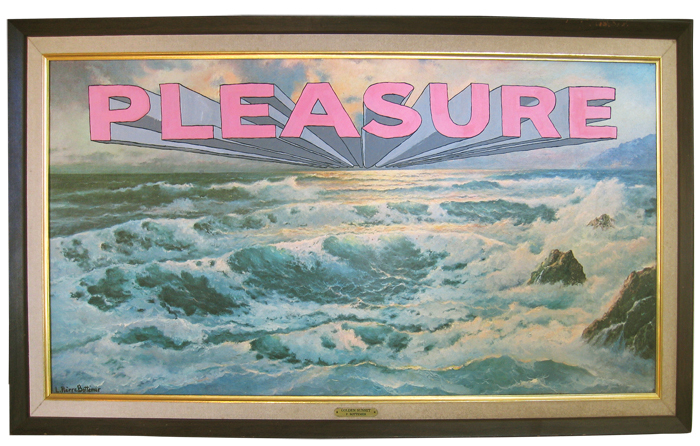 I painted a word onto a painting of the ocean and called it “golden sunset pleasure.” It’ll be up for a month.